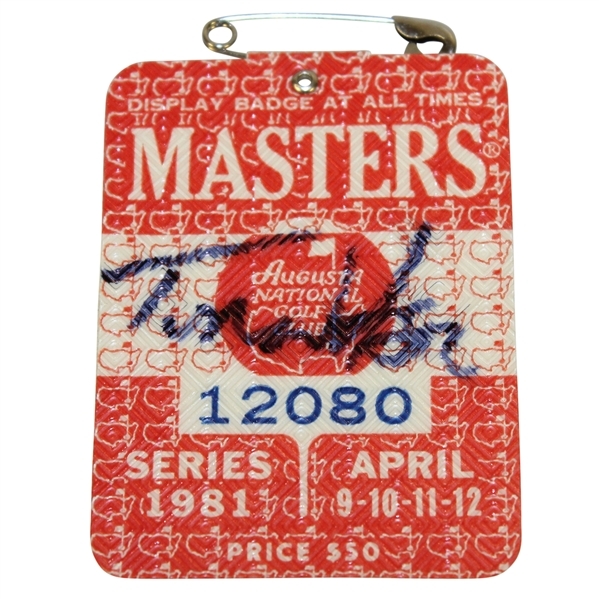 The Masters Tournament of 1981 saw Tom Watson win his 2nd green jacket and 5th Major title. 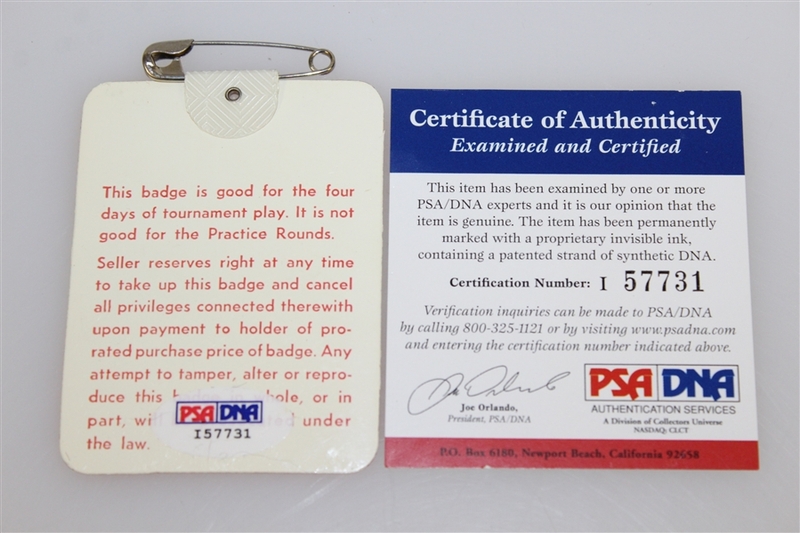 Presented here is a badge from the tournament in which he beat out Jack Nicklaus and Johnny Miller by two strokes. Further adding to the already highly collectible series badge offered here, the champ Watson left his signature in blue marker on the front of the badge. His signature comes with PSA/DNA authenticity #I57731.